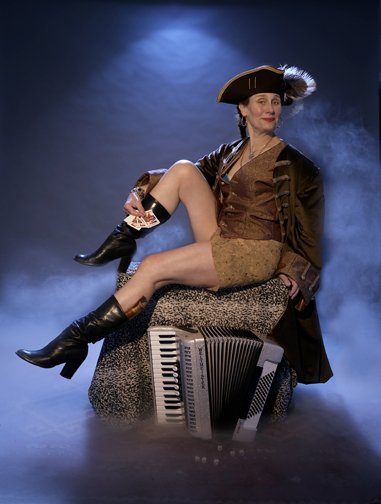 Got the word that I will be an Accordion Babe in the 2012 “Accordion Babes Album and Pin-up Calendar”. Hurray! Because of our new CD, “Shake Those Bones”, I chose a roguish, card-playing, dice throwing theme. Once again photographer John Clayton took a fab shot. Thank you, John! Our cut for the Accordion Babes compilation CD will be our cumbia-esque tune “The Cards On the Table” from “Shake Those Bones”. 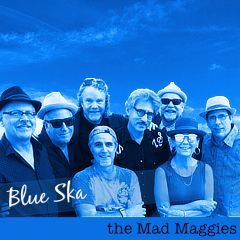 accordion babes, John Clayton, Pirates, Shake Those Bones, the mad maggies.